If you’re looking for a high-quality, heavy-duty pickup truck in the Glendale Heights or Bloomingdale, then there are only a few suspects worthy of consideration. Among them, the 2016 Chevrolet Silverado 2500 and the 2016 Ford F-250 remain at the top of the list. 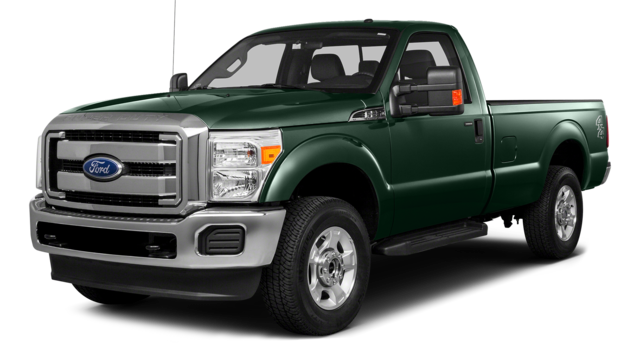 These models feature commanding performance from powerful V8 engines and a variety of cab and bed setups. However, the Chevrolet 2500 beats out the competition in a number of categories that many drivers find important. Take a closer look to see how they compare, and if the Chevrolet model proves the better pick for you, take it for a test run at Sunrise Chevrolet. There was a time when heavy-duty truck buyers might have expected a fairly stripped down pickup, but now there’s more to offer, and the 2016 Chevrolet Silverado 2500 clearly has the edge. The Silverado 2500 comes with a standard four-speaker stereo system with a 4.2-inch central display screen, a USB port, and an auxiliary input. The 2016 Ford F-250 only gets a standard two-speaker stereo with AM/FM radio and none of the other advanced tech unless you move up the trim ladder. Also, only the Chevrolet Silverado 2500 gets standard cruise control. There are also some exciting technologies that are available even on the base trim of the 2016 Chevrolet Silverado 2500 and can’t be purchased on even the highest trim level of the 2016 Ford F-250. These include Apple CarPlay and Anrdoid Auto advanced smartphone integration via the Chevrolet MyLink system, as well as a 4G LTE Wi-Fi hotspot that lets you stream Internet on up to seven devices with OnStar telematics. Both of these heavy-duty pickup trucks come with standard V8 engines, available turbo-diesel V8 engines, and an available gooseneck/fifth-wheel trailering package, but the 2016 Chevrolet Silverado 2500 has a greater maximum towing capacity. A properly equipped version of the Silverado 2500 is capable of towing up to 18,000 pounds. Even when fully outfitted, the 2016 Ford F-250 is unable to tow more than 16,600 pounds. Despite these advantages, the 2016 Chevrolet Silverado 2500 still edges out the 2016 Ford F-250 with a lower starting price. Whether you’re looking for the most advanced technology, the heftiest towing capacity, or the more accessible starting price, the 2016 Chevrolet Silverado 2500 is the clear champion. 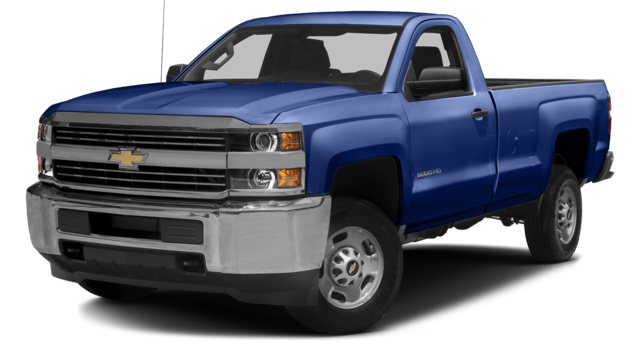 Check out the newest rendition of the Silverado 2500 at Sunrise Chevrolet. Our dealership is a short drive from Bloomingdale at 414 North Ave. in Glendale Heights, IL, and we invite you to contact us if you have any questions before you visit.